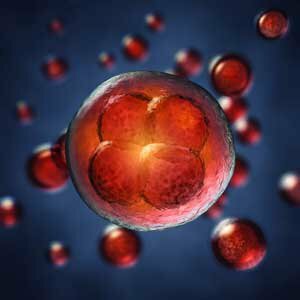 The newest technology to emerge in the field of egg donation is the freezing of eggs prior to fertilization. When the American Society for Reproductive Medicine (ASRM) lifted the experimental label on egg freezing in 2013, frozen eggs become a mainstream treatment option offering several patient advantages. We performed our first IVF cycles utilizing frozen donor eggs at Fertility Centers of Illinois in 2013 with great success. As frozen donor eggs continue to gain popularity, more and more embryo transfers are performed. In 2013 alone, FCI performed over 80 embryo transfers utilizing eggs from DEB USA, with Donor Egg Bank USA completing over 700 transfers since its July 2012 launch. As a whole, Donor Egg Bank USA reports a 52 percent clinical pregnancy rate per transfer since inception, with an ongoing pregnancy rate of 45 percent. These rates are comparable to fresh donor egg pregnancy rates. Patients are offered three main benefits by choosing frozen donor egg over fresh egg donation. First, recipients have access to a diverse donor database. FCI is a partner practice of Donor Egg Bank USA along with 27 additional centers throughout the U.S., Puerto Rico and Canada. Each U.S. partner practice freezes and stores eggs in their laboratory to share across the Donor Egg Bank USA network. This allows recipient couples across the country, and even internationally, to take advantage of the national diverse donor database that the Donor Egg Bank USA network offers. The second large advantage is the convenience and significant time saving offered to patients with frozen donor egg. Because eggs are already frozen, they are immediately available for treatment. Couples can select a donor and begin an IVF cycle in as little as one to three months. This is in distinct contrast to a fresh donor cycle, where recipients can wait several months for a donor. After a recipient is matched with a (fresh) egg donor, the donor must be stimulated for an egg retrieval, and cycles must be coordinated between the recipient and donor. This process can take anywhere from three to 12 months. Lastly, the cost of doing frozen egg donation is less than fresh egg donation. This is especially important to couples who have limited or no health insurance coverage. The cost of a typical fresh egg donor cycle is $25,000 - $38,000, while a frozen donor egg cycle is nearly half the cost. Donor Egg Bank USA also offers a financial program which gives couples a money-back guarantee if they don't deliver a live born baby within six donor egg treatment cycles. For couples who have experienced recurrent miscarriage or do not have viable eggs for treatment, this new option can offer hope, convenience, and the promise of a long-awaited child. Dr. Jane Nani is a reproductive endocrinologist and director of the Third Party Reproduction Center for Excellence with Fertility Centers of Illinois. She has helped thousands of patients have families since 1996, and specializes in helping individuals and couples have babies through donor egg, donor sperm, and surrogacy.